Two recent international rights successes for children’s books by Indigenous authors—Ambelin and Ezekiel Kwaymullina’s YA novel Catching Teller Crow (Allen & Unwin) selling into the UK and US, and a US deal for Sally Morgan’s board book I Love Me (illustrated by Ambelin Kwaymullina, Fremantle Press)—prompted Books+Publishing’s news editor Sarah Farquharson to investigate whether there was an underlying trend. She spoke to several Australian publishers and literary agents about the growing interest in Own Voices stories, the quality of Indigenous publishing, and the perception among international publishers that Indigenous-authored books are ‘too local in their appeal’. You can read Farquharson’s article here (paywall). With the Bologna Children’s Book Fair just weeks away, the fair has announced the shortlists for its Bologna Prize for Best Children’s Publisher of the Year. Three Australian publishers—Scholastic, Scribble Kids’ Books and EK Books—are in the running in the Oceania division. You can find a selection of children’s and YA titles from these three publishers, and many more, in the ‘Hello! From Australia’ catalogue. The ALC Agency has sold simplified Chinese- and English-language rights to 16 titles to Hangzhou Redflowers Network on behalf of the University of Queensland Press, New Frontier Publishing and Funky Books. 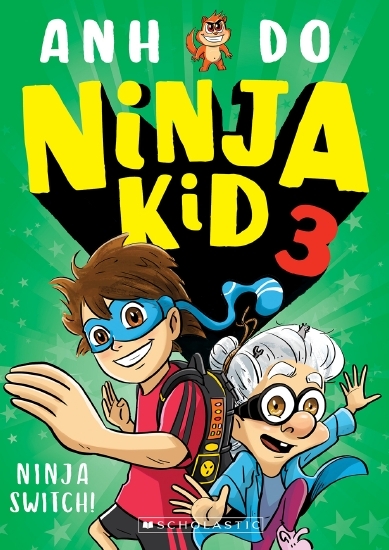 The titles include: My Nanna is a Ninja, My Sister is a Superhero, My Brother is a Beast, My Pop is a Pirate and My Mum is a Magician (all Damon Young & Peter Carnavas, University of Queensland Press); three books in the ‘Mr. Darcy’ series (Mr Darcy, Mr Darcy and the Christmas Pudding and Mr Darcy the Dancing Duck, all Alex Field & Peter Carnavas, New Frontier Publishing); and Funky Chicken: A Bushy Tale of Croc & Chooks, Chooks in Space, Mission inCROCible and A Bug Called Doug (all Chris Collin & Megan Kitchin, Funky Books). Alex Adsett Literary Agency has sold North American rights to Shelly Unwin’s board books You’re One! and You’re Two! (illus by Katherine Battersby, Allen & Unwin) to Penguin Random House imprint Doubleday. The titles belong to a series of five rhyming picture books that celebrate early childhood. Inkwell Management has sold world English-language rights (ex-ANZ) and Dutch-language rights to Helena Fox’s forthcoming YA novel How it Feels to Float (Pan Australia, May)—about a teenage girl struggling with her mental health—to Penguin US imprint Dial Books and Van Goor/Best of YA, respectively. Allen & Unwin has acquired ANZ rights to three new children’s book series by bestselling author Anh Do, beginning with an action-adventure series for readers aged 8-14-years. The first instalment of ‘Wolf Girl’, Into the Wild, follows a young girl who is separated from her family and must fend for herself, supported by a pack of dogs she befriends in the wilderness. 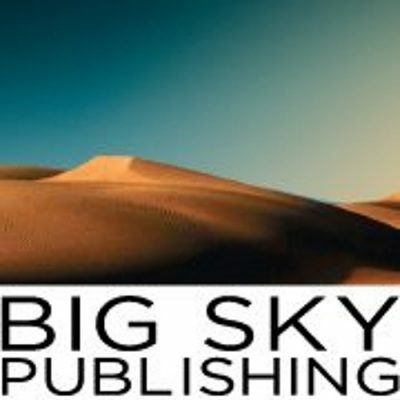 New and upcoming titles from Big Sky Publishing include gripping YA historical fiction Hadamar: The House of Shudders, in which true-crime author and historian Jason Foster brings to light little-known events from a terrifying chapter from WWII with a powerful narrative and story of hope told through the eyes of a young child. Teenage expert and author Michelle Mitchell draws upon decades of experience working with children, teenagers and their parents, and provides fresh insights and strategies into navigating these challenging years with her much anticipated books Self Harm and Everyday Resilience. Little books with big messages continue to shine with upcoming new releases: No Baths Week offers a fun romp, Paint with Magic is both comical and inspiring, and the very beautiful Kisses in My Heart is the new ‘must-read’ bedtime story for little and big people! In recent sales, Big Sky Publishing has sold North American and US territories rights to 17 children’s book titles to educational publishing house Rosen Publishing. 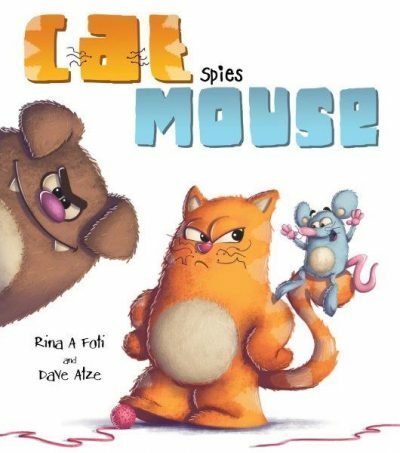 Set in motion at the 2018 Frankfurt Book Fair, the 17-book deal includes the first in picture book series Cat Spies Mouse (Rina Foti, illus by Dave Atze) and three junior fiction series: Poppy Inkwell’s fresh and upbeat mystery series ‘Alana Oakley’ (three books); Cameron Macintosh’s ‘Max Booth Future Sleuth’ series (illus by Dave Atze, four books released plus two forthcoming); and the forthcoming ‘Nursery Crimes’ mystery series (John Barwick, illus by Dave Atze), a riotous reimagining of our popular nursery rhymes—it comprises seven titles with the first due to be published in Australia in August this year. The full rights catalogue is available here. The picture book Petit Soldat (Editions du Seuil) by Australia-based couple Pierre Jacques Ober and Jules Ober has won the Prix Carrement Beau Maxi (for most beautiful book in the 9-12 age group) at the Prix Sorcières in France. 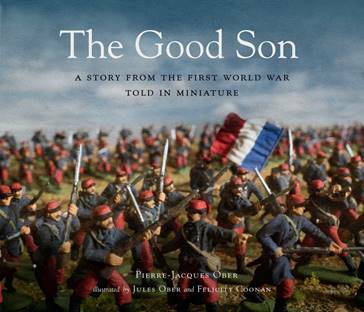 Due to be published in English as The Good Son: A Story from the First World War, Told in Miniature (Candlewick), Petit Soldat tells the story of a young French soldier through a series of intricately constructed and photographed scenes using World War I figurines. Australian children’s author Paul Jennings and illustrator Allison Colpoys have been longlisted for the UK’s Carnegie and Kate Greenaway medals, respectively. Jennings is longlisted for his novel A Different Boy (illus by Geoff Kelly, Allen & Unwin) and Colpoys for her work on the picture book If All the World Were … (written by Joseph Coelho, Frances Lincoln). 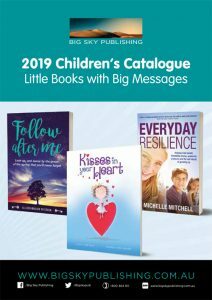 Other recent awards announcements include the Children’s Book Council of Australia’s Notable Books; the longlist for the Inky Awards for YA writing; and the shortlist for independent bookseller Readings’ Children’s Book Prize. It’s no surprise that Allen & Unwin has snapped up the rights to three new children’s book series by Anh Do. The bestselling children’s author—who first came to the attention of Australian readers with his memoir The Happiest Refugee (and children’s edition, The Little Refugee)—is at the top of the Australian children’s bestsellers chart for February with the third book in his ‘Ninja Kid’ series, Ninja Switch!.